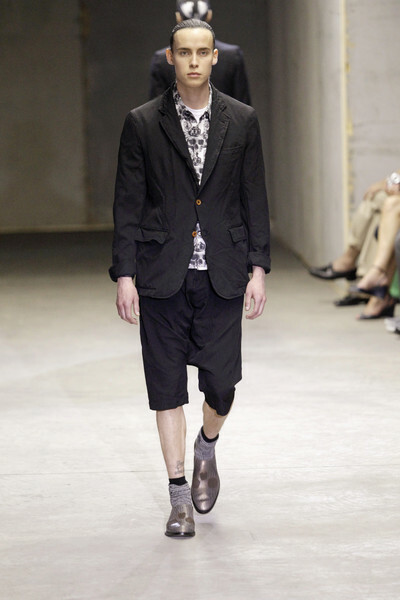 It was a beautiful and scary collection Comme des Garcons presented today. 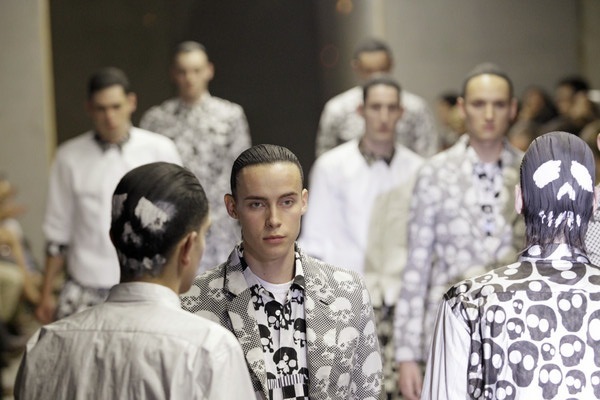 Skulls were everywhere: at the back of the model’s head, but mainly as an Escher-like print at skirts, shirts, suits. In black and white and – ha ha, very funny – with glasses in contrasting blue or covered by flowers you’ll find on a graveyard. What was the deeper meaning of this collection? 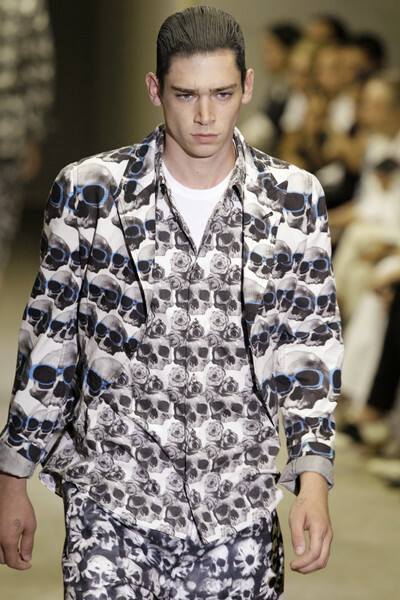 The only explanation designer Rei Kawakubo gave was ‘ Skull of Life’. Yeah, right. 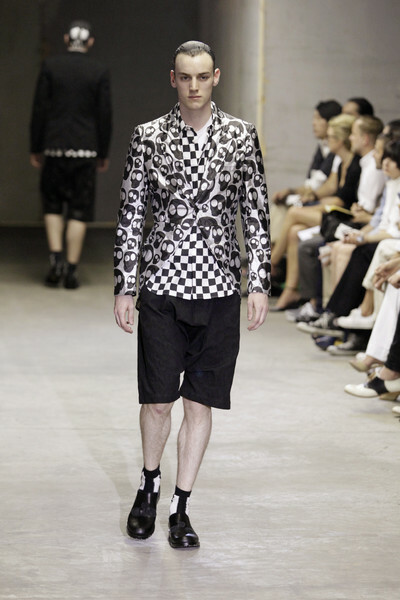 I mean, Alexander McQueen did it a long time ago and even recently at his last menswearcollection. He even made skulls of flowers. 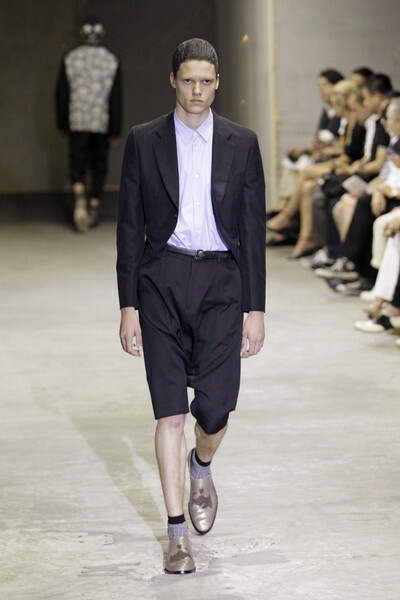 And this CdG-collection didn’t seem as an homage to the British designer. He never used it so ubiquitously. 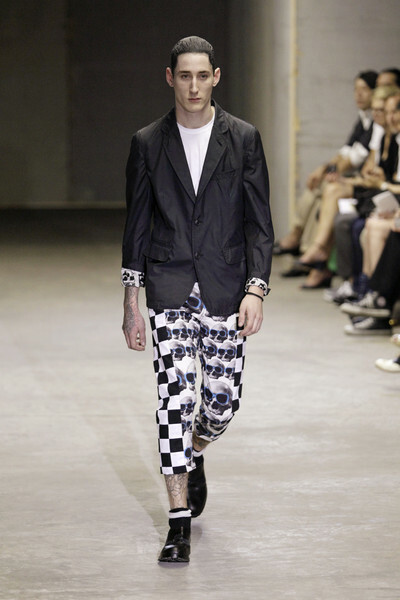 Checkered flag-prints accentuated the punkisch vibe of the collection. The clothes were kept simple: blazers, cropped trousers, shirts and full skirts. 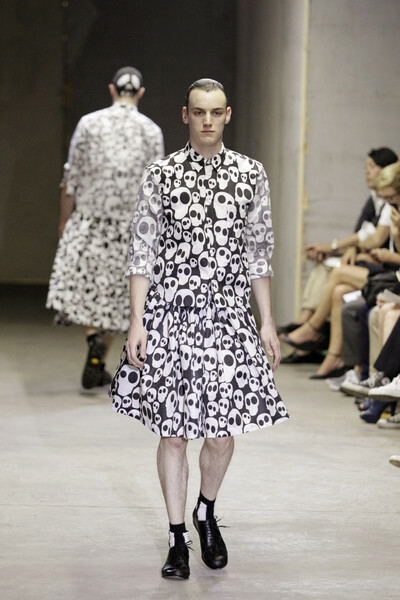 No, I think Kawakubo just don’t want us to be afraid of skulls, she wants us to embrace them. 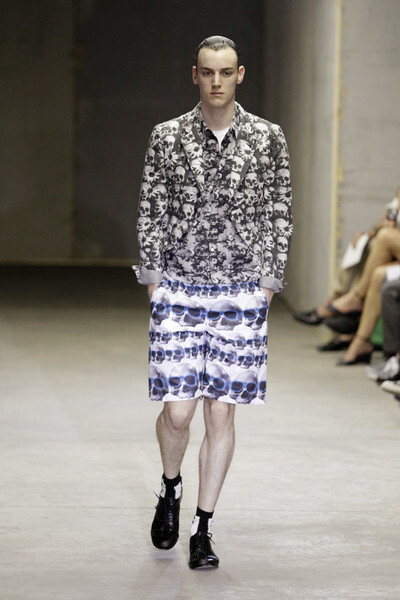 From now on skulls are no longer meant for hard rockers, goths or whatever dark subculture.